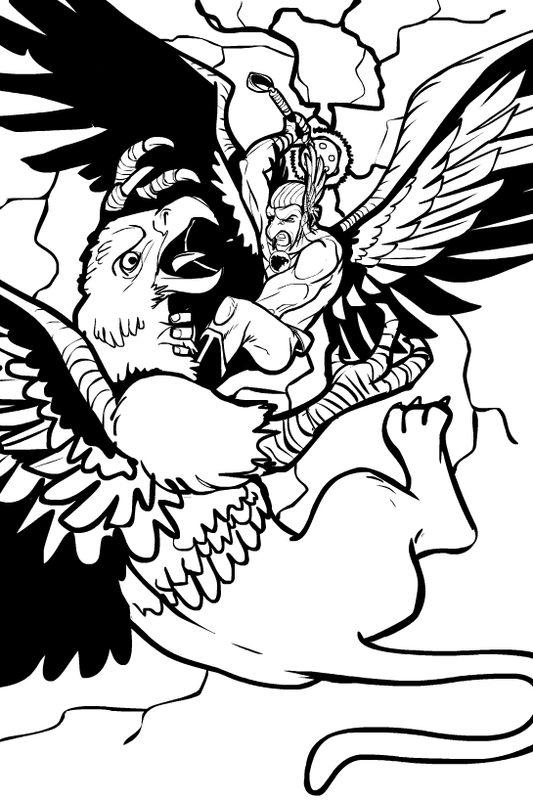 It’s a pity that Hawkman is under-rated, because that sketch is 5 shades of awesome. Thanks Joshua! I think with more time and tinkering (his body’s a little funky, the linework on the gryphon needs to be tightened up, etc.) this could be a good illustration. I do like it as a sketch, though, glad you agree. I agree that the pose could be better with a few adjustments but even without them I think its a good illustration. Nicely done. I always found it strange that Hawkman used a mace. It’s not exactly aerodynamic if you know what I mean. It just never seemed to fit the rest of the character. Birds after all should rip and tear their oponents rather than bludgeon them. Maybe some clawed gloves or maybe even a bow to take advantage of his ability to travel in three dimensions instead of just on the ground. I agree the mace doesn’t fit, and the mask is stupid too. I always liked Hawkman. I think the problem is they put him in a modern setting. I think he’s much more compelling in a Thundarr the Barbarian type world. I kinda like the mask. At least it fits with the theme.